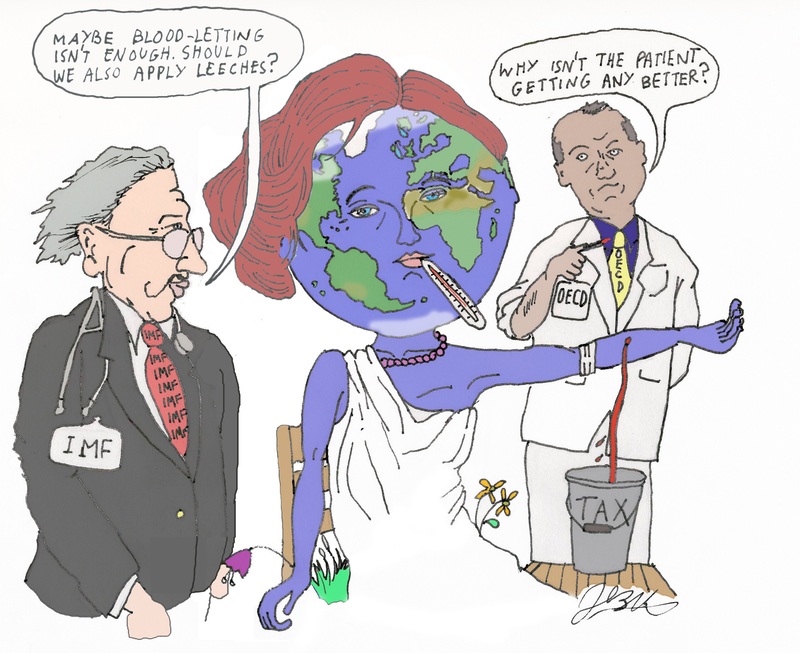 A couple of months ago, I thought I did something meaningful by sharing six separate examples of the International Monetary Fund pressuring sub-Saharan African nations to impose higher tax burdens. This was evidence, I suggested, that the IMF had a disturbing agenda of bigger government for the entire region. I didn’t imply the bureaucrats were motivated by racism. After all, the IMF has pushed for higher taxes in the United States, in China, in Latin America, in the Middle East, and in Europe. (folks who work at the IMF don’t pay taxes on their own salaries, but they clearly believe in equal opportunity when urging higher taxes for everyone else). Nonetheless, I thought it was scandalous that the IMF was systematically agitating for taxes in a region that desperately needs more investment and entrepreneurship. And my six examples were proof of a continent-wide agenda! But it turns out that I wasn’t exposing some sort of sinister secret. The IMF just published a new report where the bureaucrats openly argue that there should be big tax hikes in all sub-Saharan nations. Domestic revenue mobilization is one of the most pressing policy challenges facing sub-Saharan African countries. 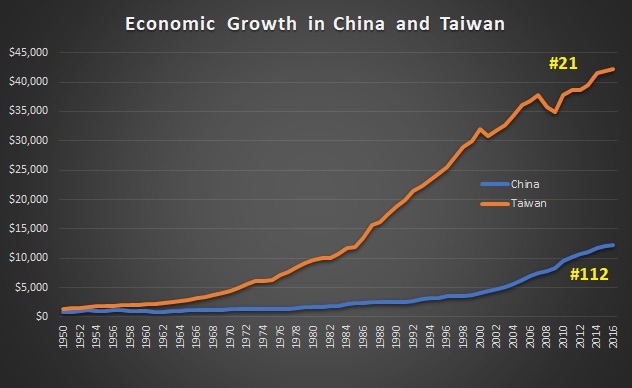 …the region as a whole could mobilize about 3 to 5 percent of GDP, on average, in additional revenues. …domestic revenue mobilization should be a key component of any fiscal consolidation strategy. Absent adequate efforts to raise domestic revenues, fiscal consolidation tends to rely excessively on reductions in public spending. Notice, by the way, the term “domestic revenue mobilization.” Such a charming euphemism for higher taxes. And it’s also worth pointing out that the IMF openly urges more revenue so that governments don’t have to impose spending restraint. Moreover, the IMF is happy that there have been “substantial gains in revenue mobilization” over the past two decades. Over the past three decades, many sub-Saharan African countries have achieved substantial gains in revenue mobilization. For the median sub-Saharan African economy, total revenue excluding grants increased from around 14 percent of GDP in the mid-1990s, to more than 18 percent in 2016, while tax revenue increased from 11 to 15 percent. …Two-thirds of sub-Saharan African countries now have revenue ratios above 15 percent, compared with fewer than half in 1995. …the region still has the lowest revenue-to-GDP ratio compared to other regions in the world. The good news is that there are signs of convergence. Over the past three decades, the increase in sub-Saharan Africa’s revenue ratio has been double that for all emerging market and developing economies. 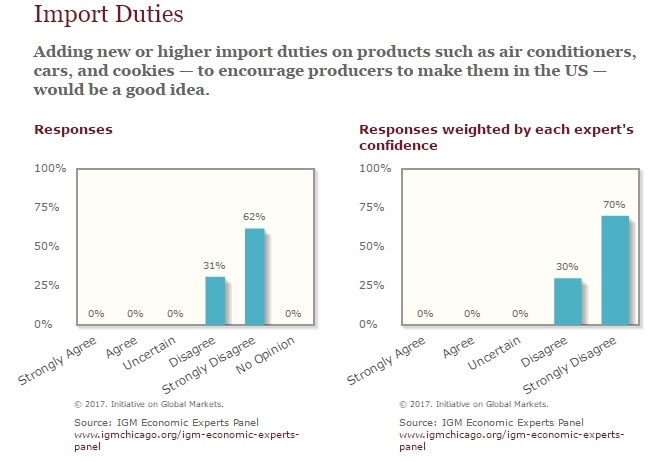 However, there is some data in the report that is genuine good news. In most regions of the world, there has been a trend in recent years toward reducing rates for the CIT and the personal income tax (PIT). In sub-Saharan African countries, the average top PIT rate has been reduced from about 44 to 32 percent since 2000, while average top CIT rates have been reduced by more than 5 percentage points during the same period. 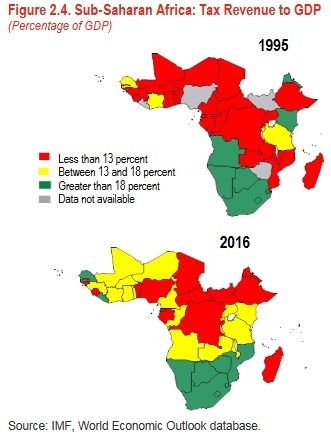 Here are two charts showing the decline in tax rates, not only in Africa, but in most other regions. By the way, the IMF bureaucrats appear to be surprised that revenues went up as tax rates went down. I guess they’ve never heard of the Laffer Curve. Despite this decline in rates, total direct taxes (PIT and CIT) as a percentage of GDP have been trending upward. 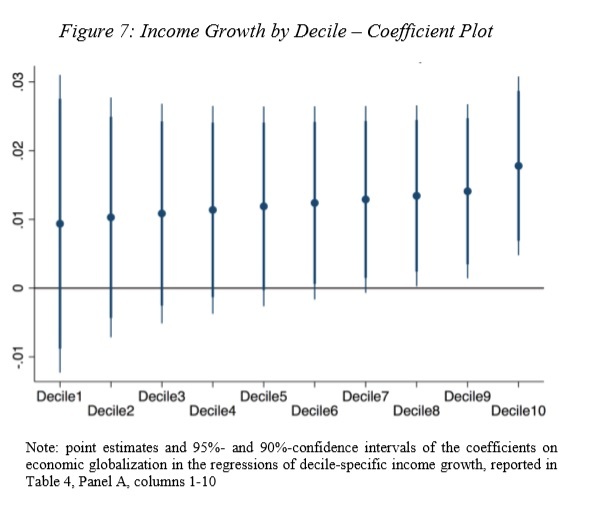 But the IMF obviously didn’t learn from this evidence (or from the evidence it shared last year). Rather than proposing lower tax rates, the report urges a plethora of tax hikes. Successful experiences in revenue mobilization have relied on efforts to implement broad-based VATs, gradually expand the base for direct taxes (CIT and PIT), and implement a system to tax small businesses and levy excises on a few key items. Wow. I don’t know what’s worse, claiming that tax increases are good for growth, or pushing higher taxes in the world’s poorest region. Let’s close by debunking the IMF’s absurd contention that bigger government would be good for Africa. I suppose the simplest response would be to share my video series about the economics of government spending, especially since I cite a wealth of academic research. But let’s take an even simpler approach. 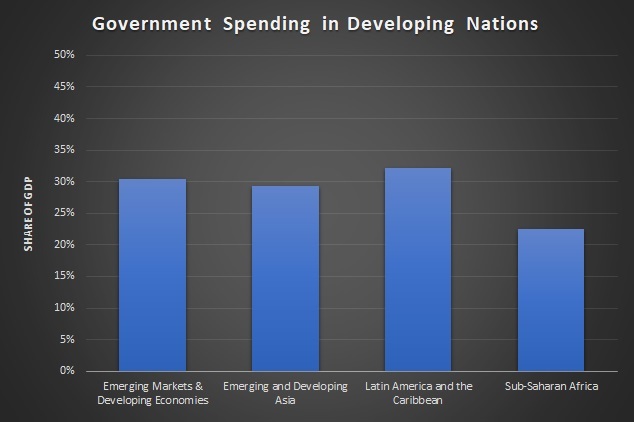 The IMF report complained that governments in sub-Saharan Africa don’t have enough money to spend. 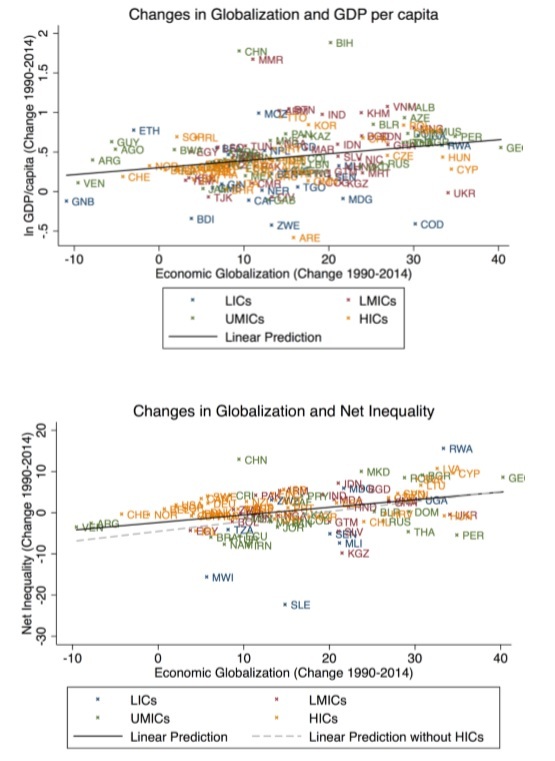 The good news, as illustrated by this chart (based on data from the bureaucracy’s World Economic Outlook database), is that the IMF is accurate about relative fiscal burdens. The bad news is that the IMF wants us to believe that a low fiscal burden is a bad thing. 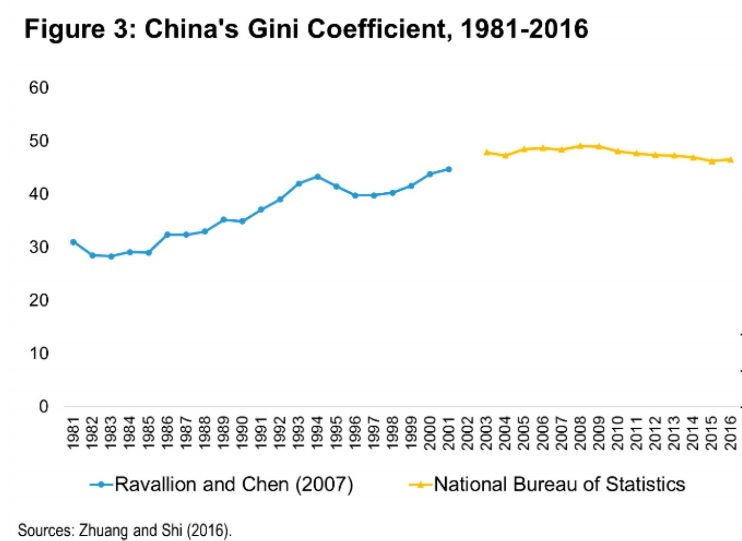 The bureaucrats at the IMF (and at other international bureaucracies) actually want people to believe that bigger government means more prosperity. Which is why the report urges big tax hikes. But you won’t be surprised to learn that the IMF doesn’t provide any evidence for this bizarre assertion. 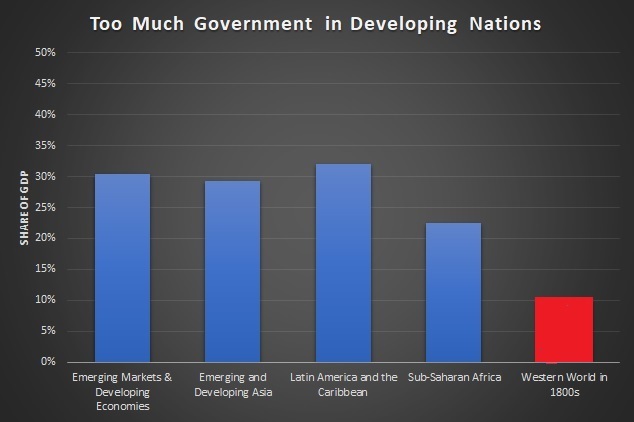 Though I’ve had folks on the left sometimes tell me that bigger government must be good for growth because rich nations in the western world have bigger governments while poor nations in Africa have comparatively small governments. If you want to get in the weeds of public finance theory, the IMF bureaucrats are misinterpreting Wagner’s Law. But there’s no need to delve into theory. When people make this assertion to me, I challenge them to identify a poor nation that ever became a rich nation with big government. It’s true, of course, that there are rich nations that have big governments, but all of those countries became rich in the 1800s when government was very small and welfare state programs were basically nonexistent. So let’s take the previous chart, which supposedly showed too little spending in sub-Saharan Africa, and add another column (in red) showing the level of government spending in North America and Western Europe in the 1800s. The obvious takeaway is that African nations should cut taxes and reducing spending. The exact opposite of what the IMF recommends. 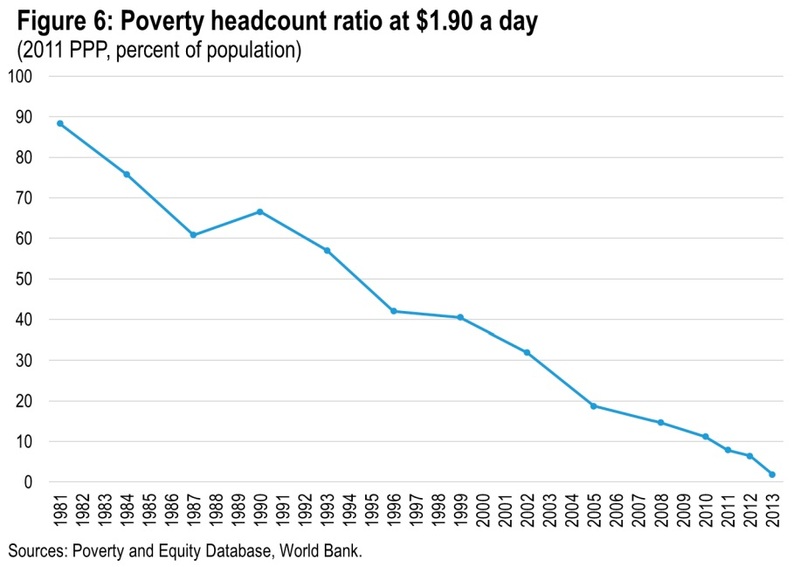 In other words, the IMF’s agenda of bigger government and higher taxes is a recipe for continued poverty. 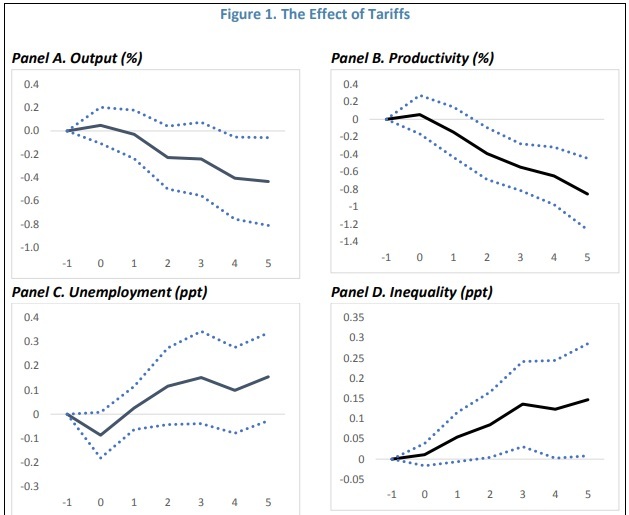 But keep in mind that fiscal policy is just one piece of the puzzle. 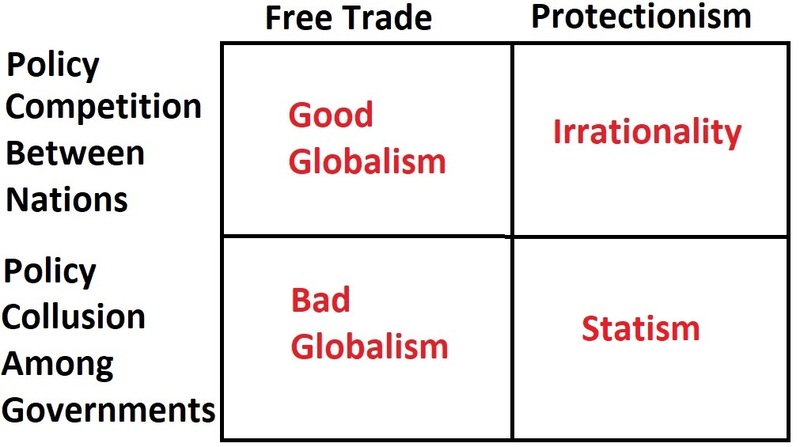 As explained in Economic Freedom of the World, a nation’s prosperity also is affected by regulatory policy, trade policy, monetary policy, and quality of governance. And nations in sub-Saharan Africa generally score even lower in those areas than they do for fiscal policy. So while those countries should reduce their fiscal burdens, it’s probably even more important for them to address other policy mistakes. To end on an upbeat note, here’s a video from Reason about how free markets can help bring prosperity to Africa. 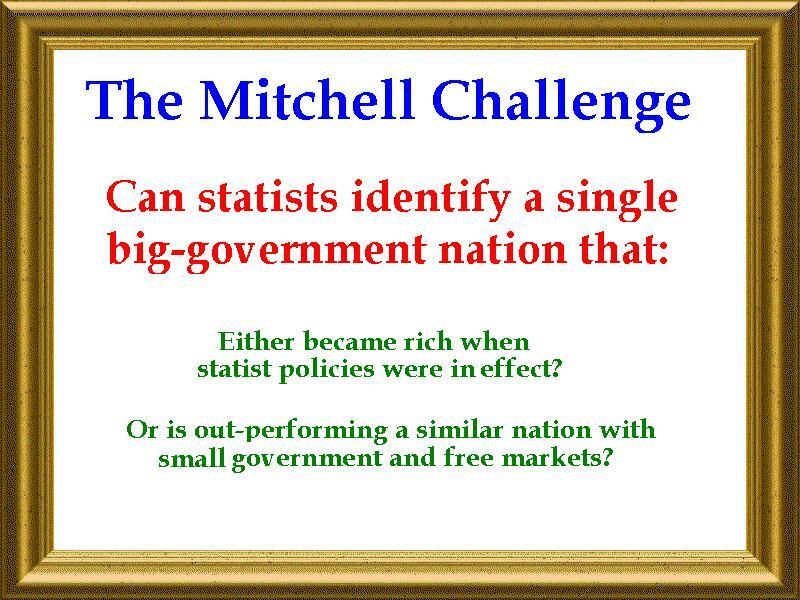 I also recommend this video from the Center for Freedom and Prosperity since it does a great job of debunking the argument that higher taxes and bigger government are a recipe for prosperity. And this video about Botswana is a good case study of how African nations can enjoy more prosperity with market-oriented policy.